The 10th Annual Providence Children’s Film Festival “A Decade of Wonder,” will take place ​February 15-28, 2019 at main venues throughout downtown Providence and satellite venues across Rhode Island​. The Festival features 13 days of screenings, field trips, filmmaking workshops, conversations and activities that help deepen the film-watching experience. 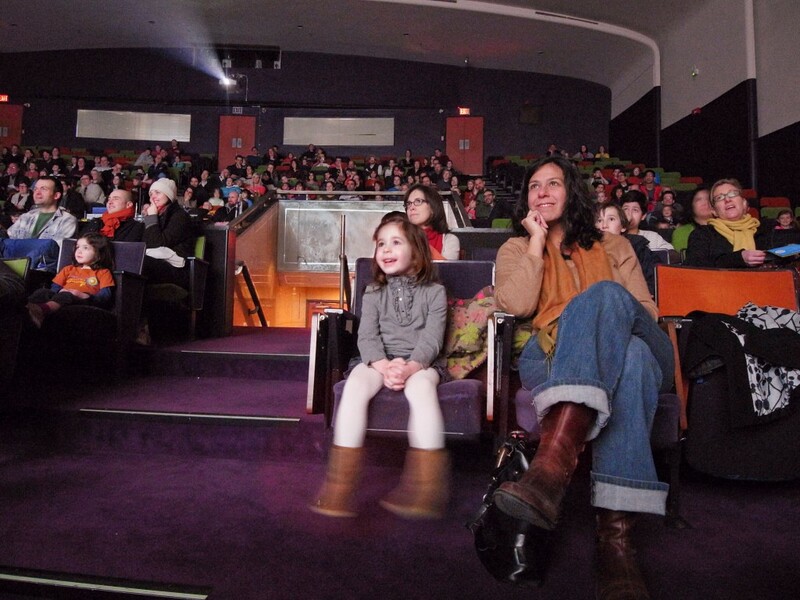 ​The annual Festival represents the best of independent and international children’s cinema to inspire, delight, educate, and connect a diverse community of children and families throughout Rhode Island and New England. ​Founded in 2009, Providence Children’s Film Festival (PCFF) is a 501(c)(3) arts and culture nonprofit organization. During the Festival, PCFF screens an average of 16 feature-length and 75 short films—including live-action, documentary, and animation—made by filmmakers from around the world. ​Films are selected for their compelling stories with a global perspective that challenge young audiences to better understand the world. PCFF believes in providing enriching shared film opportunities for youth from an early age, inspiring and cultivating a new generation of filmmakers, storytellers, and engaged citizens. To create more meaningful opportunities for youth across Rhode Island, Providence Children’s Film Festival partners with a number of community organizations across Rhode Island including Providence Children’s Museum, Providence Community Library, Providence Athenaeum, Media Education Lab at URI, RISD Museum, ​Rhode Island Museum of Science and Arts (RIMOSA), ​Give Me 5, Refugee Dream Center, Downtown Providence Parks Conservancy and others. A full schedule and ticketing details will be announced in mid-January. To nurture and promote the work of young filmmakers from around the world, the Festival presents the Youth Filmmaker Showcase, a juried show of international youth-made films. At PCFF, young people have a voice from beginning to end. At most youth-focused film festivals, children only serve on award juries, but PCFF’s Film Selection Jury includes young film enthusiasts ages 5 to 17 who have a unique opportunity and responsibility: selecting the Festival program from among hundreds of films submitted each year. PCFF film listings include recommended ages, whether a film has subtitles, notes on thematic elements, and descriptions of potentially challenging content, to help parents and educators make informed decisions about what their children see and to provide context for discussions. PCFF’s Get Reel! Field Trip program offers students the chance to experience thought-provoking film programs during special screenings at the Festival or throughout the school year. Get Reel! screenings are available for grades K-12 and include post-screening Q&As and discussion guides for teachers. With PCFF Cinema Passports in hand, young filmgoers travel on the magic carpet of film, learning about other countries, cultures and worlds. Providence Children’s Film Festival (PCFF) is a 501(c)(3) arts and culture nonprofit organization, founded in 2009. Our mission is to present the best of independent and international cinema to inspire, delight, educate, and connect a diverse community of children and families from Rhode Island and beyond. The PCFF FILM HUB connects the community year-round with a collection of resources—including a film directory of past festival films and film guides with discussion questions and activities activity reel—designed to promote film education and access to the best of independent and international children’s cinema. To get involved in the 2019 Festival, interested businesses and organizations can visit ​www.ProvidenceChildrensFilmFestival.org/Sponsor​.